It’s you versus Jimmy in a hilarious race that will have you zooming around familiar New York City landmarks. 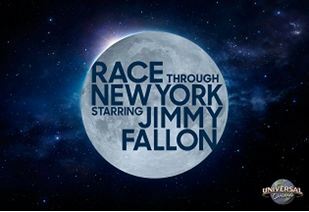 Speed down The Tonight Show’s hallways and through the busy streets of midtown Manhattan, rumble down into the city’s subways, soar over skyscrapers, even dive into the East River as you hurtle neck and neck towards the finish line. Find out who gets the last laugh. 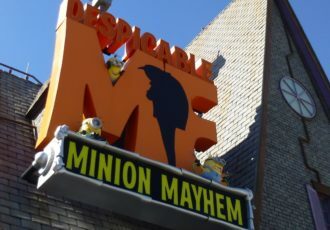 This attraction uses a Virtual Line, instead of a queue. If not using Express, be sure to reserve your return time either from a kiosk near the attraction, or by using the Universal Orlando app. You can reserve your return time first thing in the morning to ensure you'll be able to experience this brand new attraction. When your time window arrives, just show up at the main entrance under the marquee. The waiting area and lobby have been designed to re-create the decor of 30 Rock, making you feel like you’re actually there. 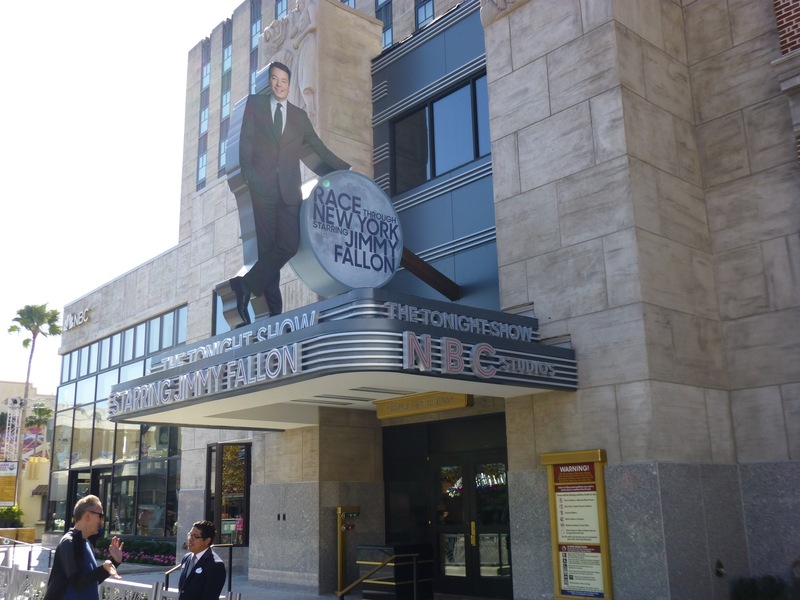 You’ll see memorabilia spanning 60 years of The Tonight Show, including suits and props from all of its famed program hosts. Dark spaces and some light adult humor. This attraction replaced Twister: Ride it Out, which itself replaced the live-action Ghostbusters show that opened with Universal Studios Florida.